How to stop the edges of my knitting curling is one of the most common questions that I get asked. It gets asked so many times actually, that now when I see someone has submitted a question like this on my questions page I groan. Despite asking that people skim the answered questions before asking theirs, no one does and this one is so common. 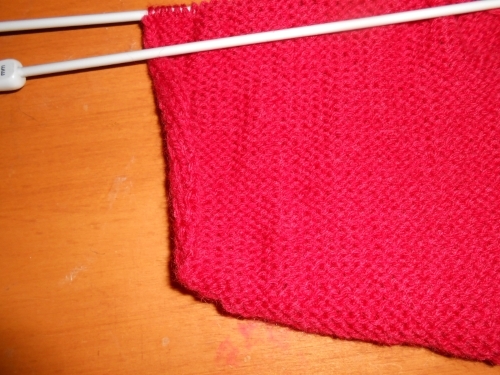 Your knitting will curl when you are knitting stocking stitch because that is the nature of the fabric. So firstly, you are not doing anything wrong, it is supposed to do that. If you are knitting a garment, it will not matter when you have sewn all of the pieces together and any raw edges (like the front edge of a cardigan) will probably have a band attached which will straighten your knitted edge out for you. 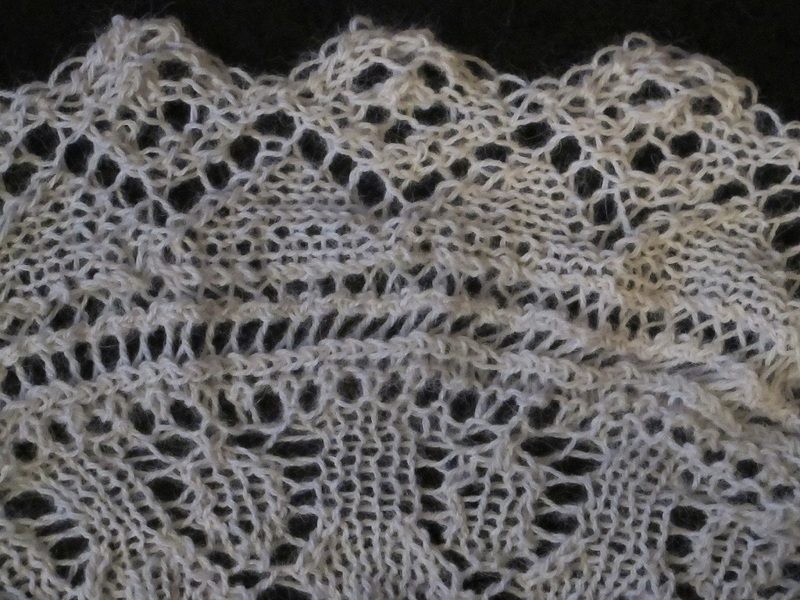 For other items, like a baby shawl or a scarf, the curling edge may present a bit more of an issue especially if you do not plan on adding a border. But it can be fixed, either while you are knitting your piece or after by blocking. Basically blocking means washing (or wetting) your knitting and then laying it out to dry flat. I tend to block on the lounge room floor. I put down a nice fluffy towel and use pins to keep the edges flat while the item is drying. The other way is to knit the first and last stitch on every row. This creates a one stitch band of garter stitch on each edge, which should reduce the curling. If that is still not solving the problem, I suggest that you knit 2 stitches in garter stitch at each end of every row, providing of course, that it does not interfere with the knitting stitch pattern of your work. Might not remove it completely but it will help to reduce the curl.